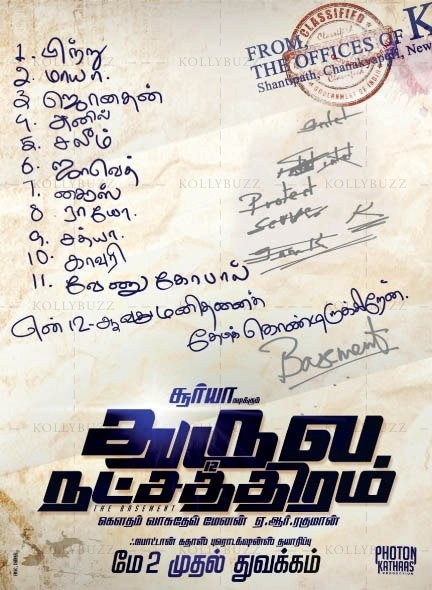 The first look of Gautham Menon's Dhruva Natchathiram, which has Surya in the lead, is out. The official launch took place at Gautham's Photon Kathaas Thanga Meengal audio release, which happened this morning. The logo that has names of 11 people in a note pad of a guy called K, with a concise message - Looking for my 12th man, and signed Basement , has sparked off an interest among people. The shoot for the film, which is said to be a thriller based on espionage, is likely to begin on May 2nd. AR Rahman is scoring the music, and this will be the first time the trio is coming together for a film. 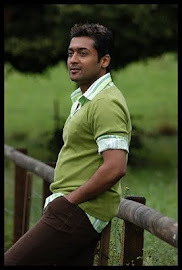 While Gautham and Surya had worked together earlier in Kakha Kakha and Vaaranam Aayiram, the music for the films was by Harris Jayaraj.